WASHINGTON, (Reuters) - U.S. employers added the fewest number of workers in 10 months in March, but a drop in the unemployment rate to a near 10-year low of 4.5 percent pointed to a labor market that continues to tighten. 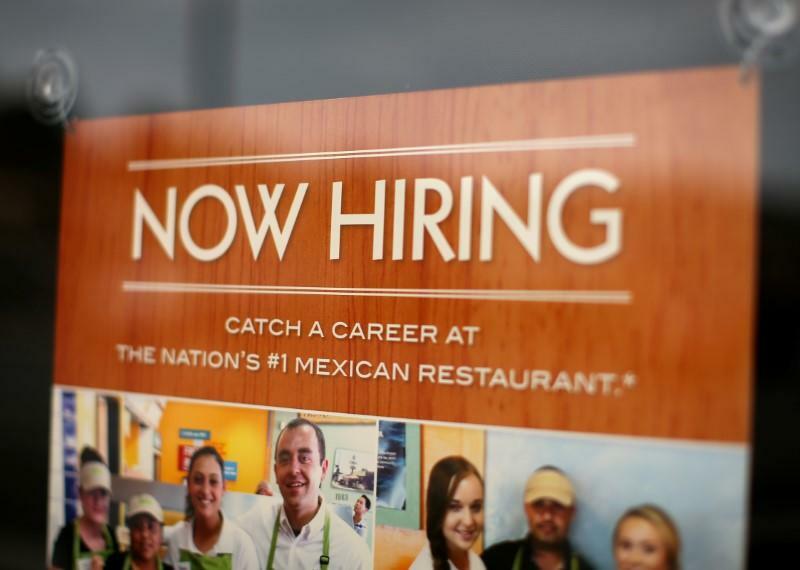 Nonfarm payrolls increased by 98,000 jobs last month as the retail sector shed employment for a second straight month, the Labor Department said on Friday, the fewest since last May. The economy enjoyed job gains in excess of 200,000 in January and February as unusually warm temperatures pulled forward hiring in weather-sensitive sectors like construction, leisure and hospitality. In March, temperatures dropped and a storm lashed the Northeast. The unemployment rate fell two-tenths of a percentage point to 4.5 percent, the lowest level since May 2007. The weak payrolls gain could raise concerns about the economy's health especially given signs that gross domestic product slowed to around a 1.0 percent annualized growth pace in the first quarter after rising at a 2.1 percent rate in the fourth quarter. Average hourly earnings increased 5 cents or 0.2 percent in March, which lowered the year-on-year increase to 2.7 percent. Economists attribute some of the improvement in the participation rate to President Donald Trump's electoral victory last November, which might have caused some unemployed Americans to believe their job prospects would improve. Trump has pledged to pursue pro-growth policies such as tax cuts and deregulation. Construction jobs increased 6,000 after robust gains in January and February. Manufacturing employment gained 11,000 jobs as rising oil prices fuel demand for machinery. Retail payrolls fell 29,700, declining for a second straight month. Retailers including J.C. Penney Co Inc and Macy's Inc have announced thousands of layoffs as they shift toward online sales and scale back on brick-and-mortar operations.